Prisoners on remand are those who have been arrested, have been refused or cannot afford bail, and are awaiting the start or completion of their trial. One third of the country’s total prison population are on remand. Excessively long detention and the conditions in which awaiting trial prisoners are kept impacts profoundly on their psycho-social and socio-economic well-being as well as on that of their families. 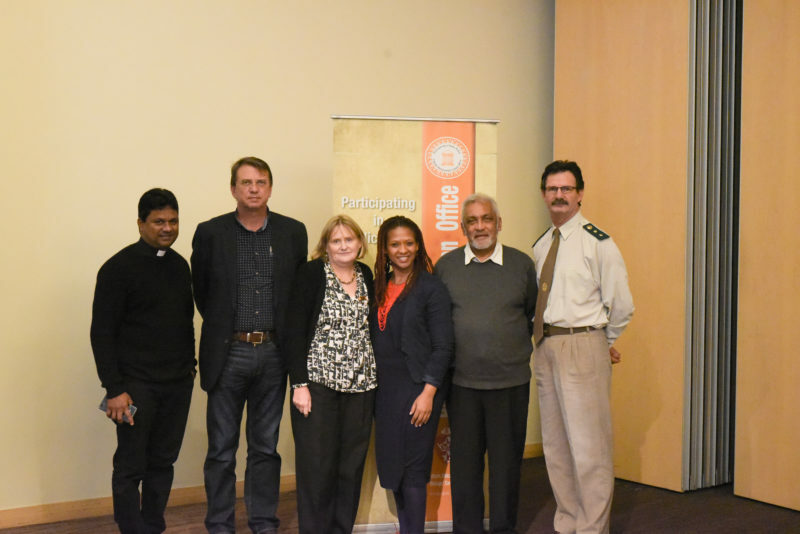 This Roundtable was addressed by Prof Lukas Muntingh from the African Criminal Justice Reform Programme at UWC; Mr Andries Esterhuizen, Deputy Director of the Regional Department of Prisons; Ms Jacquiline Hoorn of NICRO and Fr Mathai Babychan of the Prison Care and Support Network.